Relax on the doorstep of stirring Welsh countryside at the Mercure Swansea hotel. Set among landscaped gardens and tranquil lake views, this 4-star hotel is perfect for exploring the nearby hills and coast. After a day of exploring, come back to the hotel and relax in one of the spacious 119 guestrooms or enjoy a drink by the roaring fire. After a busy day, guests can rejuvenate in the Feel Good Health Club, enjoying the fitness suite or impressive heated indoor pool. 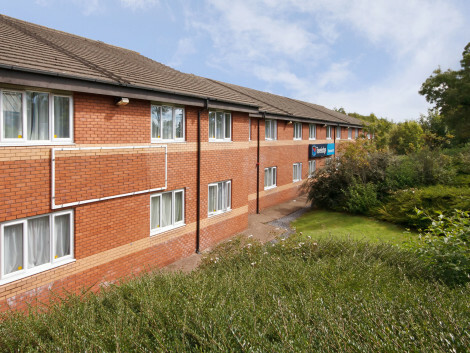 The hotel is located less than 800 metres from Swansea train station, 56 km from Cardiff airport, and close to many attractions such as 1.5 km from Swansea Grand Theatre, Pembury Racing Circuit, Dan Yr Ogof Show Circuit and the Dylan Thomas Centre. This non-smoking hotel features a breakfast room and a bar/cafe offering light snacks and beverages throughout the day. The family-friendly business hotel also offers wireless Internet access (chargeable) and an ironing board available from reception. This air-conditioned hotel has a total of 70 rooms and welcomes guests in the lobby, which offers a 24-hour reception and a 24-hour check-out service, as well as lift access to the upper floors. A well preserved Georgian Building of Windsor lodge manifests many of its Georgian features relating to Welsh Heritage. Lounge is well decorated with handmade wallpaper and features wide seating area, a coffee bar and a well-equipped computer for guests to browse, check travel links and find information. Each room is individually decorated and is quite unique boasting features including high ceilings, scenic views of the city, tiled en suite bathroom. Guests can enjoy luxury of Egyptian cotton linen; free Wi-Fi, free welcome tray with tea, coffee and biscuits. Hotel is ready for check-in from 2pm until 9pm but it is always possible to arrange an early or late check-in prior date of arrival; The Windsor Lodge also features a licensed lounge bar in the hotel for guests to relax in. Each morning a healthy breakfast is served in breakfast room, Continental or Full English Breakfast is included in your room price. Windsor lodge offers a free, secured, privately owned car park for its guests but since the spaces are limited it cannot be reserved and is allocated on first come first serve basis. Smiling and efficient staff ensure you a comfortable stay and is available to guide you around city and its attractions all the time. A five minute walk to Marina will take you straight into the city centre of Swansea. Satisfy your appetite at Seafood Bistro, a restaurant where you can enjoy drinks at the bar, take in the garden view, or dine alfresco. Meet other guests and eat at the complimentary reception. Breakfast is available daily for a fee. Make yourself at home in one of the 106 air-conditioned rooms featuring flat-screen televisions. Satellite programming and video-game consoles are provided for your entertainment, while complimentary wireless Internet access keeps you connected. Bathrooms have complimentary toiletries and hair dryers. Conveniences include desks and coffee/tea makers, and you can also request cribs/infant beds (complimentary). Make yourself at home in one of the 116 air-conditioned rooms featuring flat-screen televisions. Complimentary wireless Internet access is available to keep you connected. Private bathrooms with shower/tub combinations feature complimentary toiletries and hair dryers. Conveniences include phones, as well as desks and irons/ironing boards. Grab dinner at Dylan's Restaurant, a restaurant that specializes in local cuisine. Dining is also available at the coffee shop/café, and room service (during limited hours) is provided. Quench your thirst with your favorite drink at the bar/lounge. Full breakfasts are available daily from 8 AM to 10 AM for a fee. Make yourself at home in one of the 119 air-conditioned rooms featuring Smart televisions. Your room comes with a pillowtop bed. Wireless Internet access (surcharge) keeps you connected, and satellite programming is available for your entertainment. Bathrooms have shower/tub combinations and hair dryers. A beautiful coastal city with a long, intriguing history, Swansea is one of the most popular destinations in Wales for shopping, culture and nightlife, and this vibrant place is a great destination for a fun break. Found in the picturesque county of Glamorgan, Swansea is Wales' second-biggest city and a cultural shopping and entertainment hotspot of choice for anyone looking to experience a fun city in a beautiful setting. 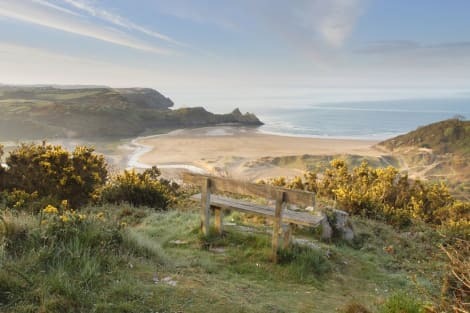 You can switch between exploring the lively streets packed with shops, bars and restaurants, to the more scenic side of Swansea, wandering along the gorgeous sandy coastline and discovering the Gower Peninsula, an Area of Outstanding Natural Beauty. This interesting city has a long history as a busy port, growing into a major mining destination during the Industrial Revolution and today you can see signs of the wealthy residents from past and present that have lavished money on the town's architecture. There are lots of listed buildings in the city, and it's worth looking up while you're strolling through the streets to appreciate the beautiful buildings lining the streets. Two fine examples include the historic Swansea Castle dating right back to the 12th century, and Grade I listed, and the early 20th-century Grade I listed Guild Hall. If you'd like to experience the cultural side of the city, head down to the Maritime Quarter. This buzzing area is the place to be for a fun afternoon or evening out, and it's home to the National Waterfront Museum, the Swansea Museum and Mission Gallery to name a few. To catch a show, head to The Grand Theatre or the Palace Theatre, and for something completely different, drive out to the stunning Lliw uplands to discover the breathtaking moors on the city's doorstep. Swansea is a city with so much variety when it comes to dining out, so there really is something for everyone. The vibrant restaurant scene includes slightly fancier places like Slice, relaxed eateries such as Belle Vue Bistro and Thai Taste, and traditional pubs like The Castle Inn. 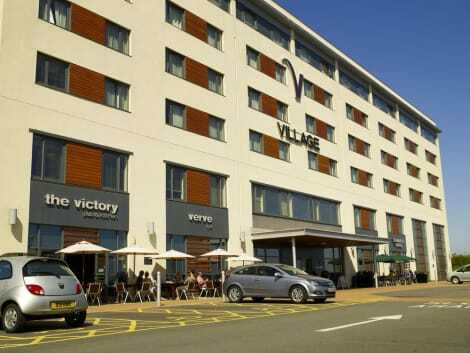 To find your perfect Swansea hotel, have a good look around too, because you'll definitely be able to find something that matches your taste and budget. Favourites are the Swansea Marriott Hotel, The Gower Hotel, Morgans Hotel and The Dragon Hotel, but there are plenty of hotels to discover.